The fashion extravaganza witnessed summer and spring collections from well-known designers like Gaurav Gupta, Anita Dongre, Ajay Kumar Singh, Bobo Calcutta, Helena Bajaj Larsen & Yavi. Big names from the Tinsel Town like Vidya Balan, Karan Johar, Tabu, Mouni Roy, among other, turned showstoppers for designers at the five-day long event. Balan walked the ramp for designer Anavila Mishra in an elegant black saree. Here’s a look at other celebrities who set the ramp on fire. 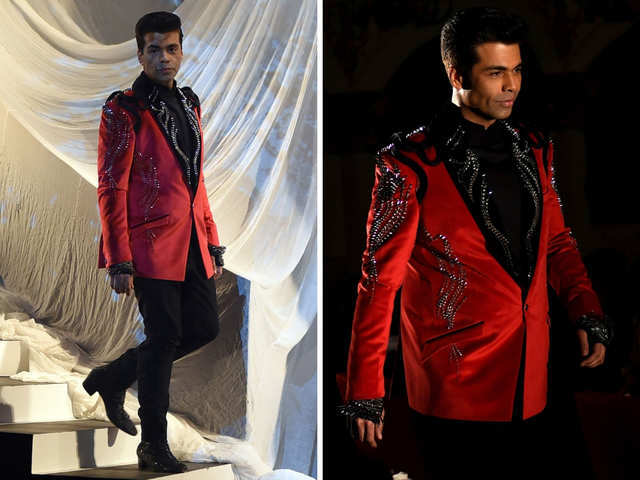 Director-producer Karan Johar walked the ramp for designer Gaurav Gupta on the opening day of Lakmé Fashion Week (LFW) Summer Resort 2019. The 46-year-old wore an red and black suit, with embellishments on the shoulder and chest. Actress Tabu made a scintillating appearance at the Lakmé Fashion Week. The ‘Haider’ actress donned an intricate, grey gown created by designer Gaurav Gupta. She kept the look simple, yet stunning, sans jewellery. Riding high on the success of ‘Uri: The Surgical Strike’, actress Yami Gautam displayed elegance & josh as she walked down the ramp at Lakmé Fashion Week. The 30-year-old actress wore a stunning light-pink gown by designer Gauri and Nainika, sporting huge flowers on the shoulder and waist. The look was completed with black boots and a floral ring. 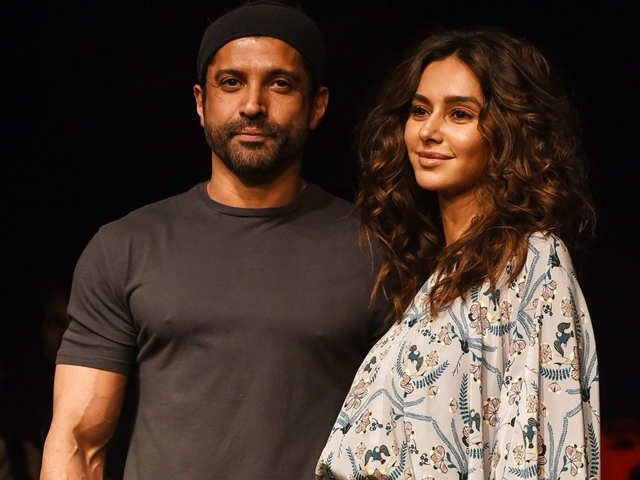 New lovebirds actor Farhan Akhtar and singer Shibani Dandekar were spotted at the Lakmé Fashion Week, where they walked the ramp in designer friend Payal Singhal’s show. While the 45-year-old actor kept it simple in his usual rockstar-look, his girlfriend opted for a sassy, stylish outfit. After keeping the fans in suspense for long, the ‘Rock On’ actor confirmed the relationship rumours last year by posting a picture on social media with his new found love. Since then, they’ve been inseparable. 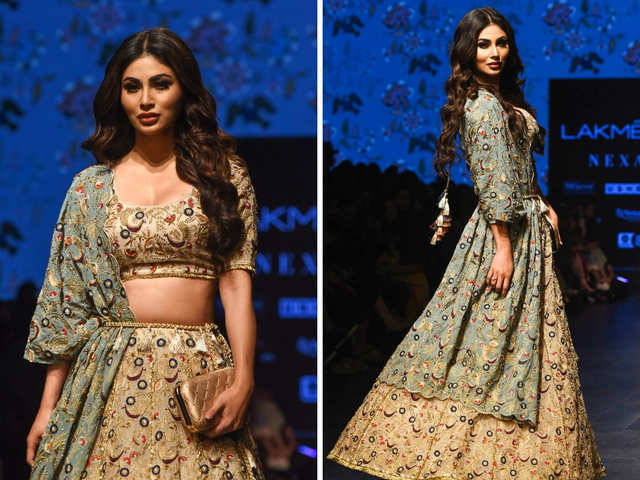 ‘Gold’ actress Mouni Roy made her Lakmé Fashion Week debut in an beige-powder blue lehenga with intricate embroidery by designer Payal Singhal. 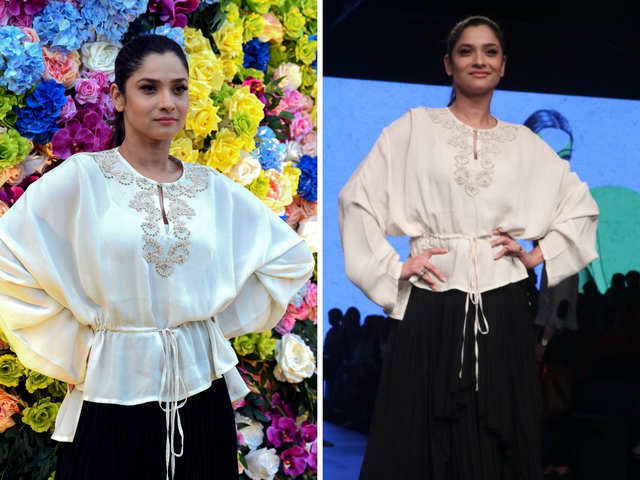 Actress Ankita Lokhande, who was last seen in Kangana Ranaut’s ‘Manikarnika: The Queen of Jhansi’, too made her Lakmé Fashion Week debut. The actress kept her look simple and subtle in a black and white outfit by designer Varun Bahl.